Green Arrow has been a steady series for DC since the New 52 launched in 2011—as of last year, issues of the series were averaging between 30 and 20,000 copies a month. But the promise of DC Rebirth’s changes for Oliver Queen have apparently been met with surprising, rousing success. Green Arrow: Rebirth #1, by Benjamin Percy, Juan Ferreyra, and Otto Schmidt, was part of the first wave of DC’s Rebirth released last week, giving us our first look at what DC Comics wants to do with its books in the wake of the big reveals of DC Rebirth #1. 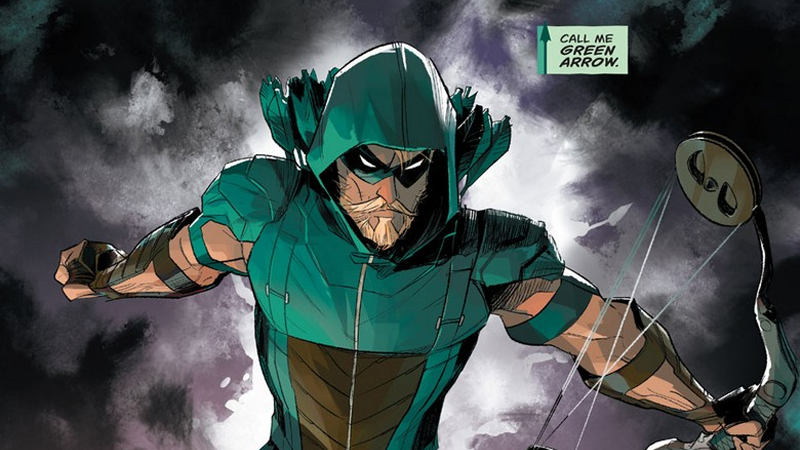 Percy is not new to Oliver Queen, having written Green Arrow since its 41st issue last year, but Rebirth is heralding several popular moves with the emerald archer that may be responsible for its fantastic reception. Not only is Ollie moving back to the social-issue driven warrior that defined popular takes on the hero in the ’60s and ’70s, rather than the techno-elite business leader/crimefighter he’s been in the New 52, he’s also working with the Black Canary again—something that DC seems to be heavily hinting at as a rekindling of their romantic relationship, a huge part of the characters’ lives from before DC’s 2011 reboot, and something that has not existed since then (in fact, the characters barely know each other). Oh, and Ollie has his goatee back. Like we said up top, that’s around triple what your average issue of Green Arrow is selling lately. For comparison, the first issue of the New 52 reboot sold around 55,000 copies when it released in September 2011. We sadly don’t have much information about the success of DC’s Rebirth titles just yet to compare Green Arrow to, but given the relatively good response the initiative has received from fans and critics so far, it may not be the only DC comics series to get a big bump this month.